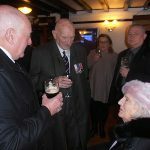 On Friday 26th May 2017, shipmates from Huntingdon & District Branch received the sad news that our Life Vice President, shipmate Graham Holt, had ‘Crossed the Bar’ early that morning. 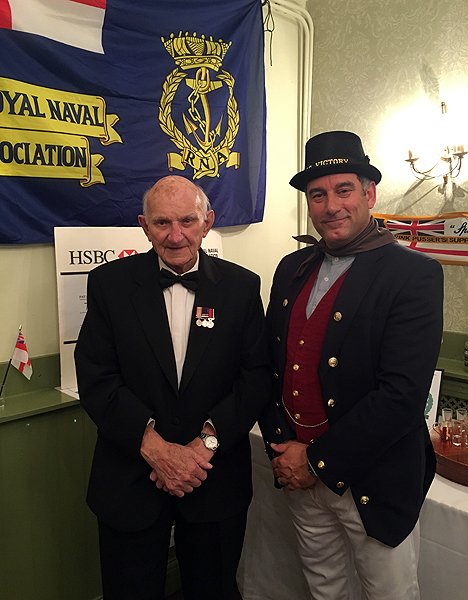 Graham joined the Royal Navy in 1947 as an Instruction Officer. 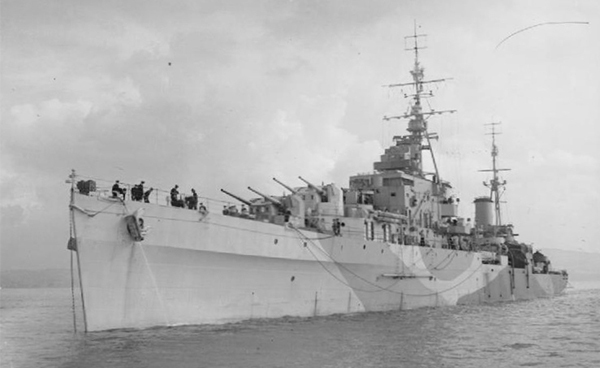 Between 1947 and 1951 he was stationed with the Home and Mediterranean Fleets onboard HMS Royalist, HMS Vanguard, and at HMS Raleigh. 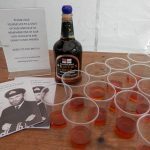 In 1952 Graham was drafted to RAF Syerston, the Naval Air Fighter School, for Flying Training, this also involved a stint with 751 Squadron and time onboard HMS Illustrious. 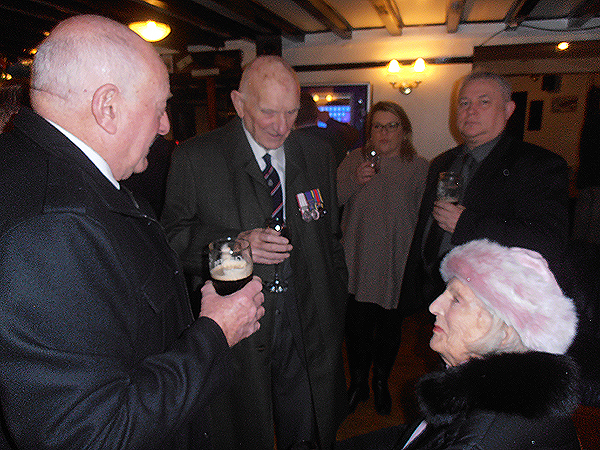 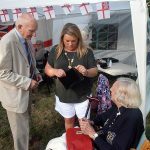 Graham met Petty Officer Dawn Boud whilst both were serving, they were married on the 19th March 1955 (the day Dawn was discharged from the WRNS). 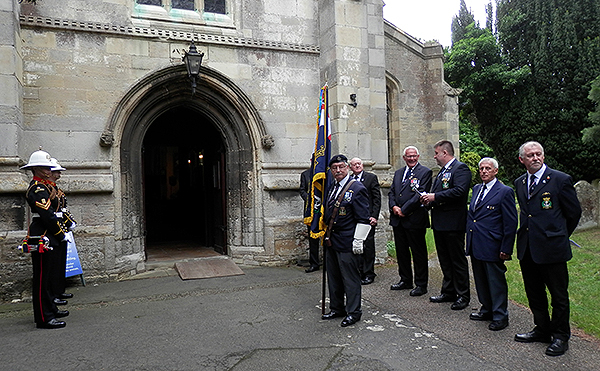 Between 1954 and 1955, 751 Sqn were stationed at RAF Watton. 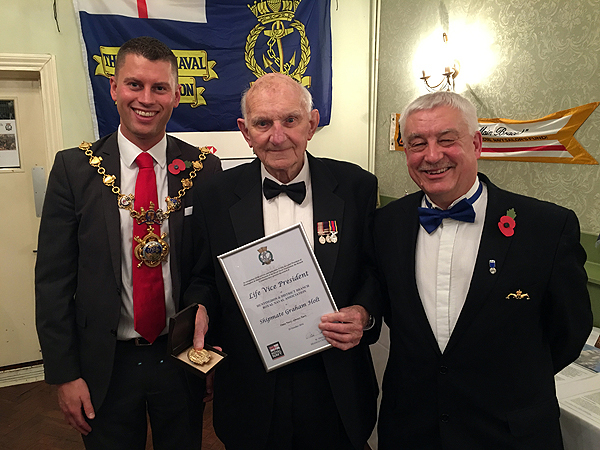 Graham undertook some ECM duties in the Med before joining 719 Squadron at HMS Gannet (RNAS Eglington) as Staff Pilot Northern Ireland. 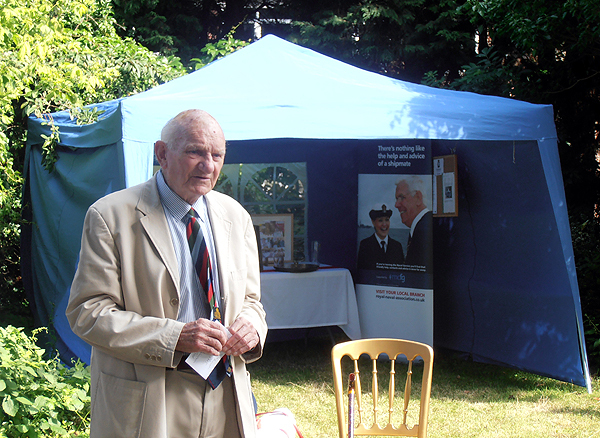 In 1956, Graham joined HMS Eagle as a Flight Deck Officer until 1957 when he took over as Senior Pilot, 849 Squadron. 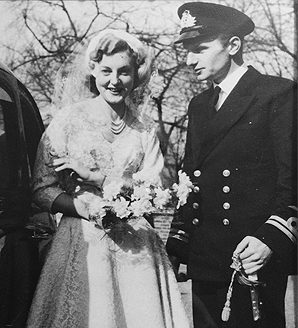 In 1959, Graham left HMS Eagle in order to take up ATC duties at HMS Heron (RNAS Yeovilton) although as a Lt Cdr he temporarily joined HMS Victorious for Carrier Controlled Approach duties during the Far East/Mediterranean confrontation. 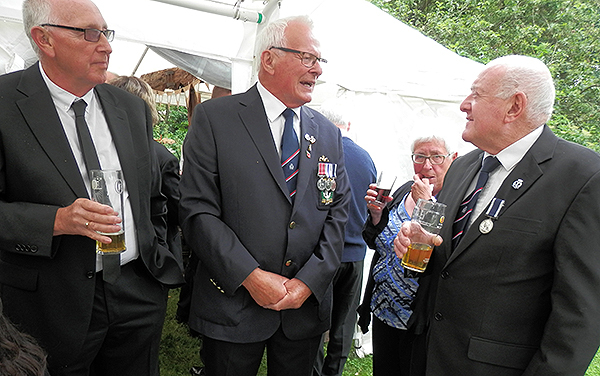 In 1963, Graham joined HMS Centaur as an Air Admin Officer before moving to RAF Sopley in 1965 to become a Senior Military Instructor at the Joint Area Radar School. 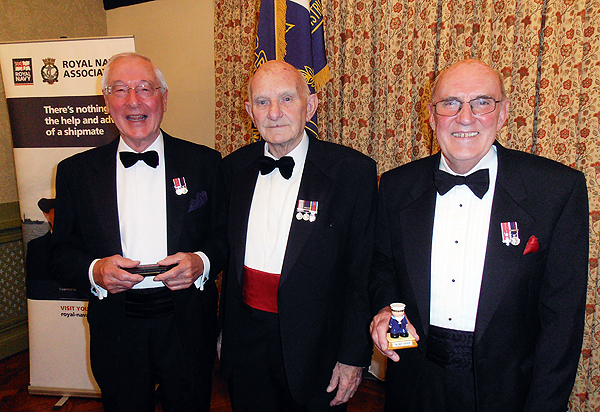 On promotion to Commander in 1968, Graham returned to RNAS Yeovilton to undertake Staff Officer Duties (Flag Officer Naval Flying Training 1968-70, and Flag Officer Naval Air Command 1970-72). 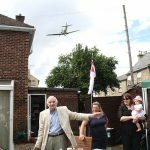 Graham was drafted to MOD London in 1973 to the Directorate Naval Air Warfare before his final posting in the Royal Navy; he took up a NATO post in Kiel, Germany as Air Plans, COMNAVBALTAP. 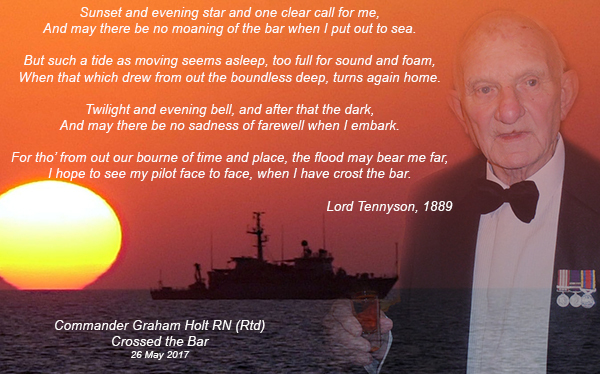 Graham left the RN on the 31st January 1976. 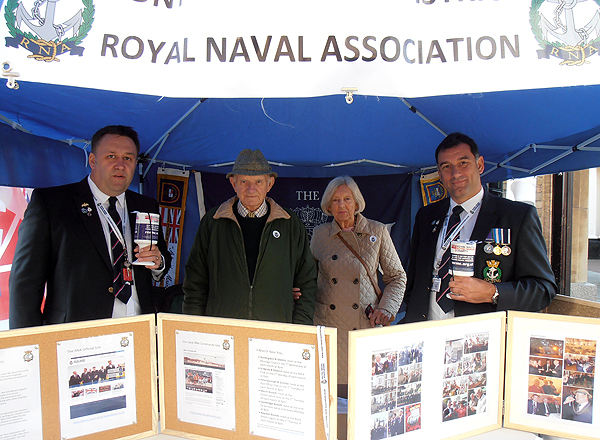 Graham and Dawn joined the Bridport Branch of the Royal Naval Association. 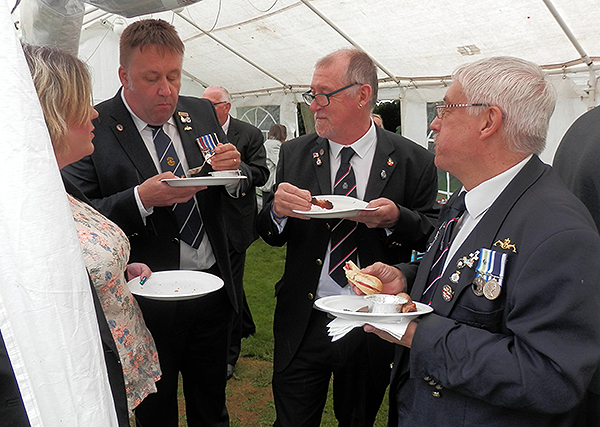 Both were active members and highly thought of at Bridport. 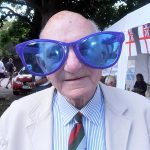 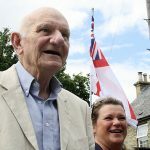 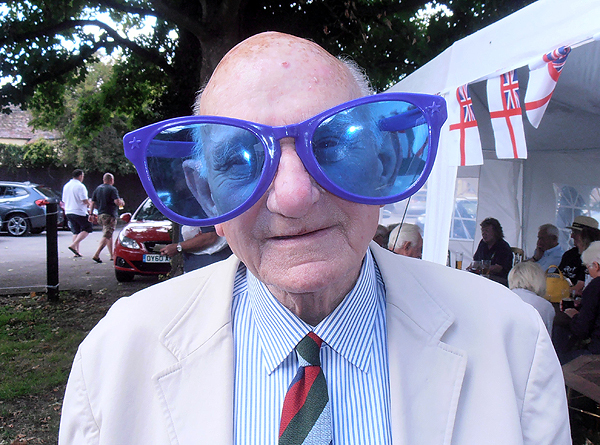 Graham was Branch President and after moving to Cambridgeshire, was made a Life Vice President of Bridport and had received monthly newsletters, cards, and branch information ever since. 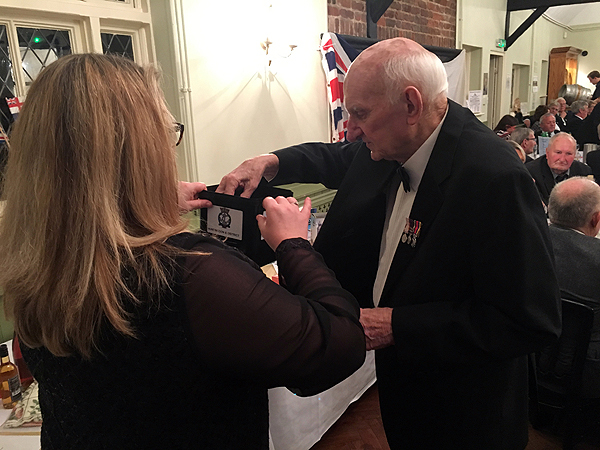 After joining Huntingdon & District Branch, Graham and Dawn continued supporting the Royal Naval Association in branch and area activities. 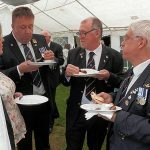 Graham organised the planting of a Royal Oak to commemorate the 200th anniversary of the Battle of Trafalgar (at Hinchinbrooke House in Huntingdon). 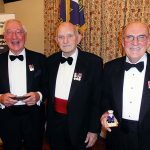 Graham was Vice President of Huntingdon Branch from 2010 until 2012 when he was elected Branch President (sadly after shipmate Chris Thomas had Crossed the Bar). 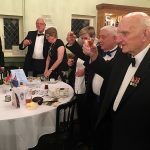 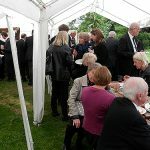 During his time as President, Graham was the shipmate we all looked up to when hosting our Annual Dinners, BBQs and local events when we needed a speech or a toast (especially when toasting the Immortal Memory at our annual Trafalgar Night Dinner). 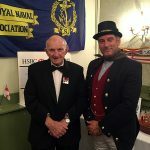 During the Branch AGM in 2016, Graham was delighted when shipmate Dawn Holt was elected Vice President — making them a double act of President and Vice President. 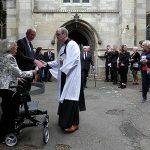 Towards the end of 2016, sadly Graham and Dawn made the decision that due to their poor health, they wished to resign their positions as President and Vice President. 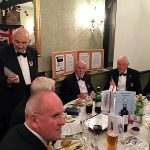 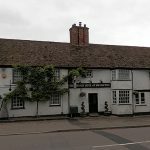 This decision was reluctantly accepted by the branch members, but Graham was not to get away with things that lightly, during the 2016 Trafalgar Night Dinner, Graham was made Life Vice President of Huntingdon Branch. 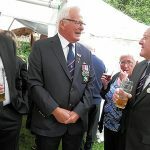 After Graham’s fall this year, shipmates took turns in visiting him in hospital and although in pain, Graham tried to put on a cheery face as he chatted with us. 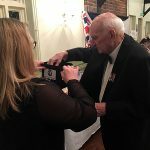 We were really pleased when we were told he was well enough to return home and celebrate his 89th birthday with his family. 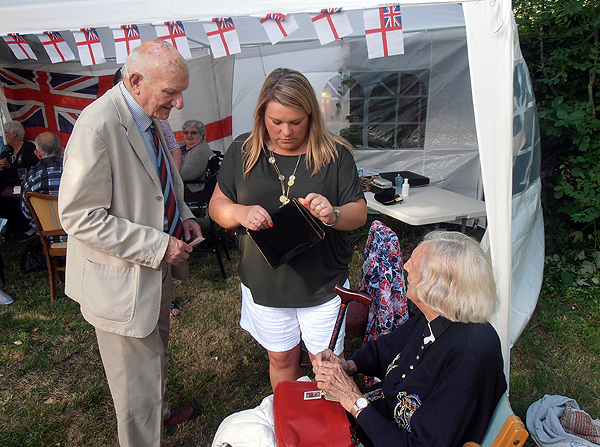 Being at home, Graham was also helping our Treasurer, shipmate Pete Aston, with a surprise for Dawn as part of the WRNS 100th Anniversary (Dawn knows we have something planned, but we will of course delay for the time being). 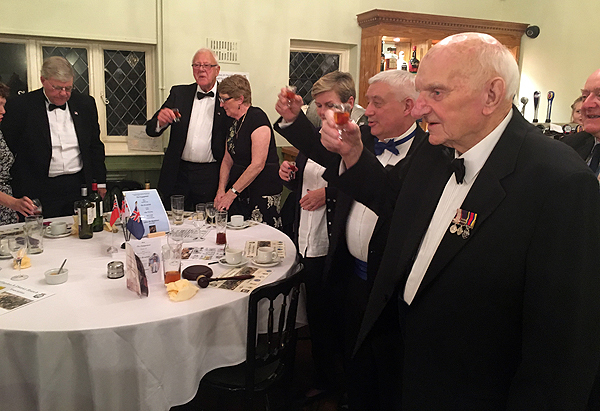 It was with a heavy heart that we contacted members of the branch to inform them that he had crossed the bar; shipmates toasted his memory that night with a tot of rum and remembered what a real gentleman he was. 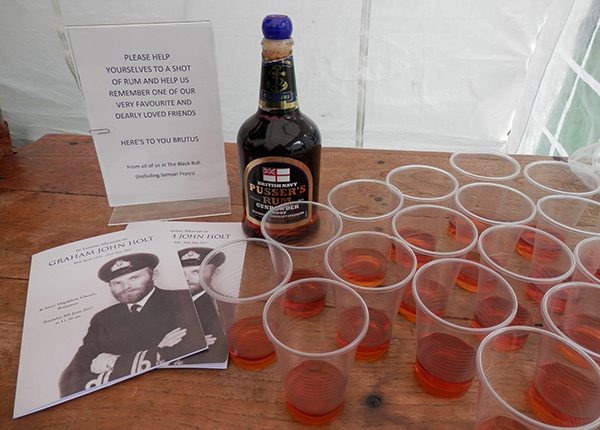 On Sunday 4th June, shipmates Karl Webb and Pete Aston manned a joint charity stall at Shuttleworth for a Fly Navy event to raise money for the Fly Navy Heritage Trust. 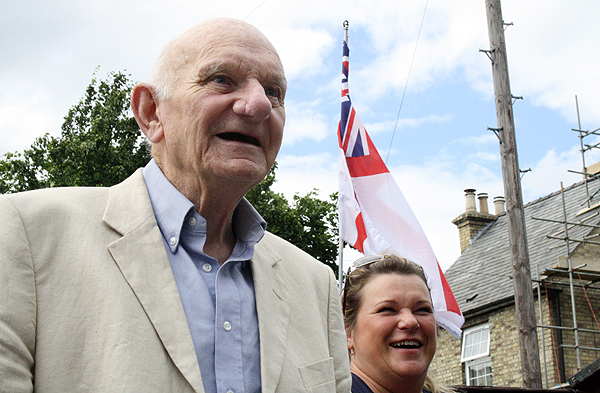 Graham was a member of Shuttleworth and with his links as a pilot during his time, spent many a day visiting when he was able. 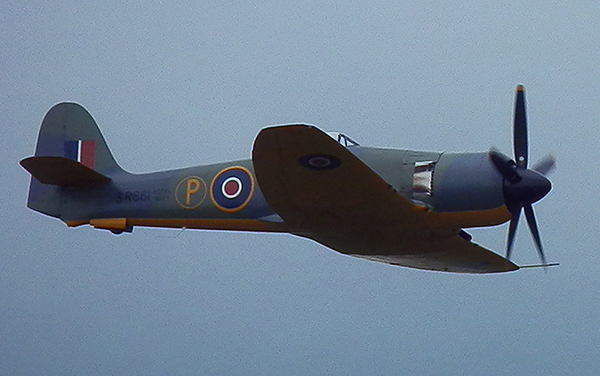 One of the last aircraft to carry out a display was the Sea Fury; Graham had flown 20 different types of aircraft during his time in the RN, including the Sea Fury. 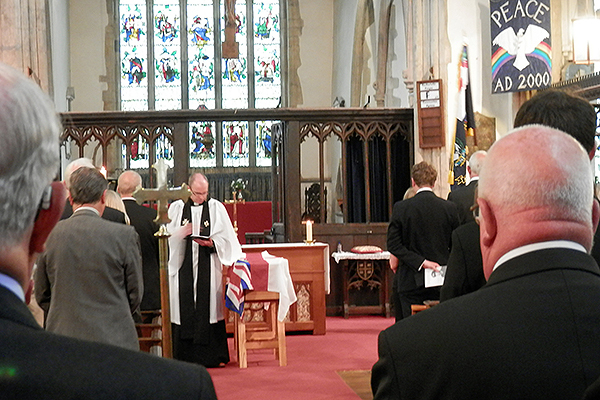 The announcer informed the crowd of Graham’s passing and that this display was being dedicated as a tribute to Graham. 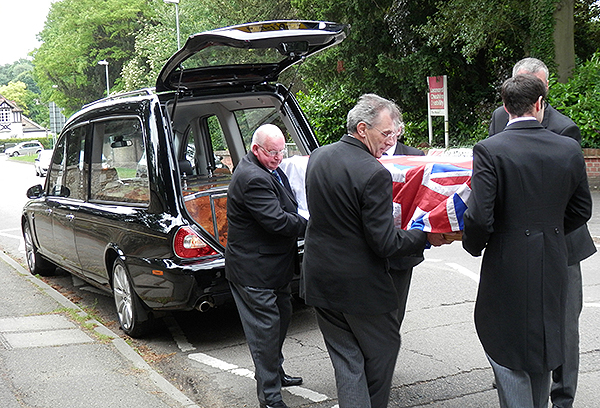 Thank you to all at Shuttleworth for paying your respects in this way. 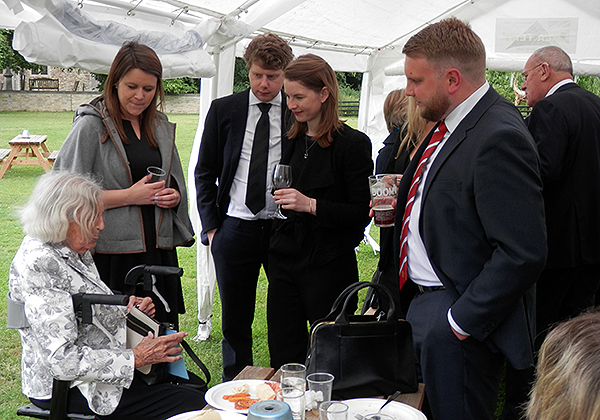 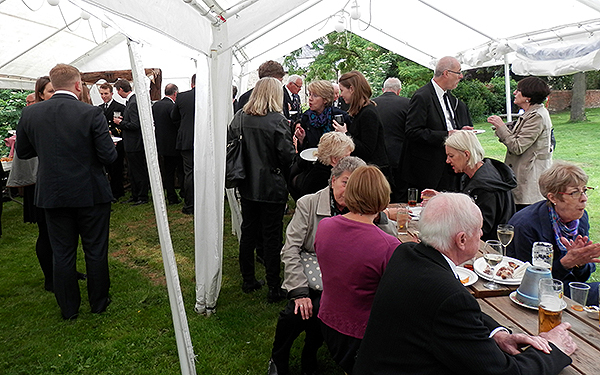 And so, family, friends, and shipmates gathered together on Thursday 8th June 2017 to pay our final respects to our former President. 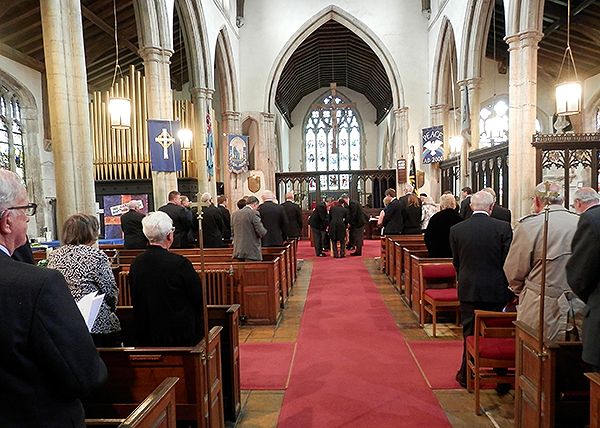 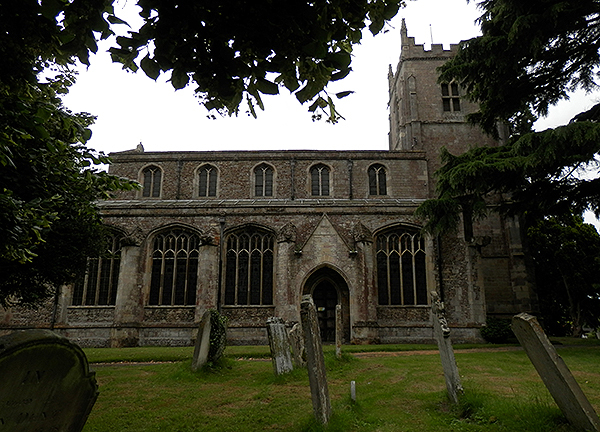 A church service took place at St Mary Magdalene Church in Brampton. 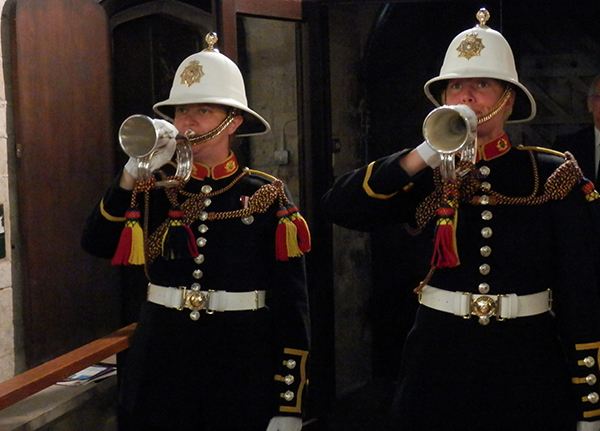 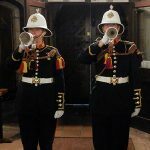 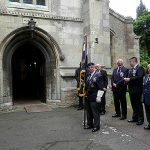 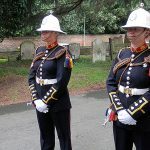 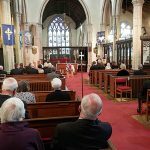 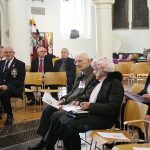 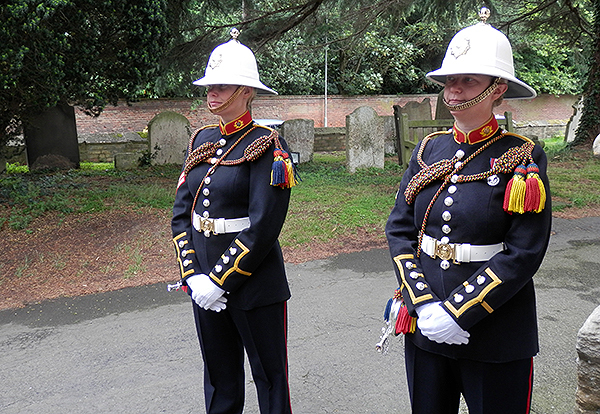 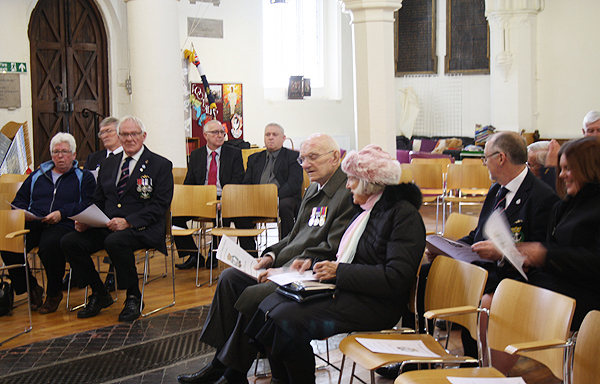 Shipmates from Huntingdon and St Neots branches took their place inside the church whilst a small contingent from Huntingdon branch, and two Royal Marines buglers, Cpl Bugler Joanna Barnes and Bugler Lisa Pessoll, formed up outside in order to await the arrival of Graham. 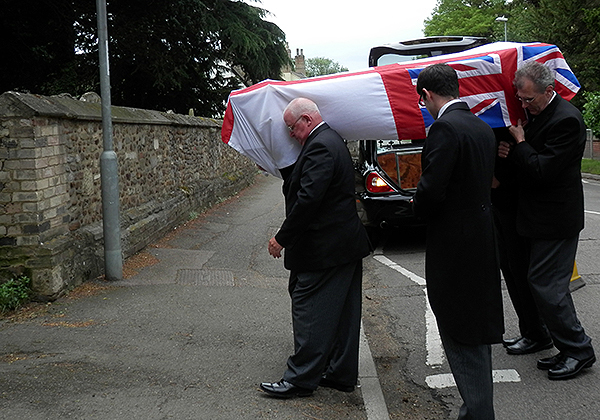 Graham’s coffin was led into the Church following shipmate Bill Small who Paraded the Branch Standard. 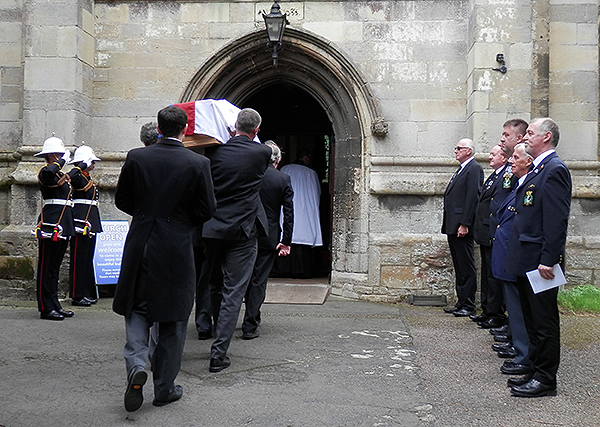 Shipmate Bill Small took up his post as Graham’s coffin was placed at the front of the church. 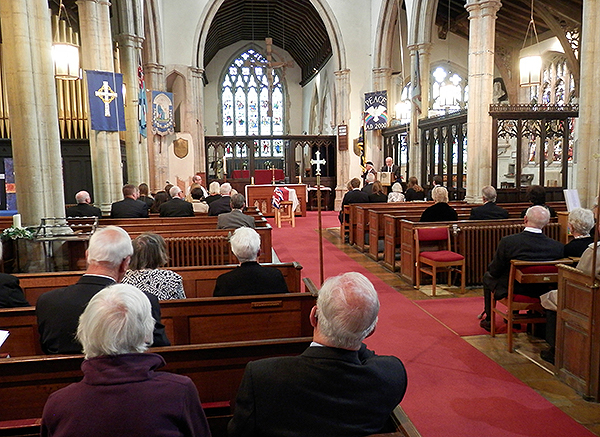 The Service was conducted by the Reverend Jason Taylor, who began with a welcome and a prayer. 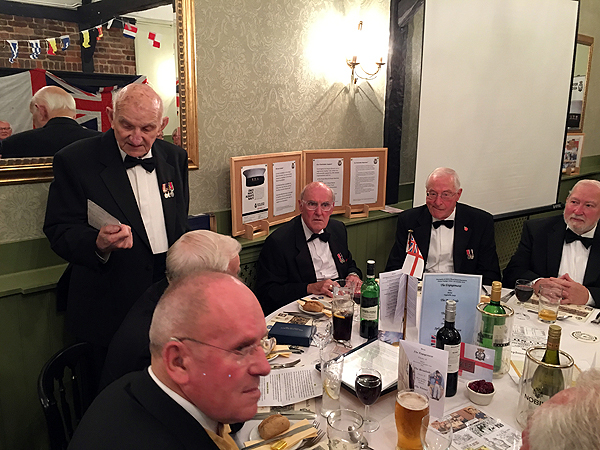 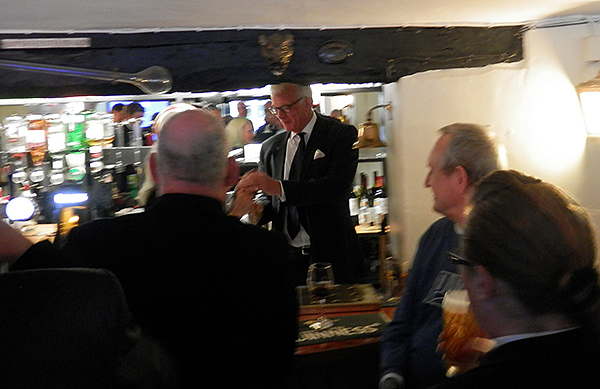 This was followed by shipmate Karl Webb, President of Huntingdon & District Branch, reciting Lord Tennyson’s Crossing the Bar, as a tribute from the Branch. 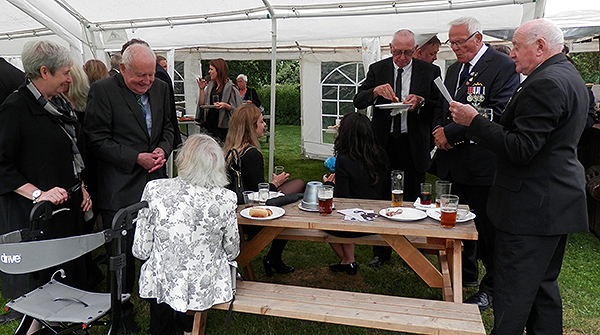 Dave Appleby then gave a family tribute to Graham, recounting many stories of a proud husband, father and grandfather. 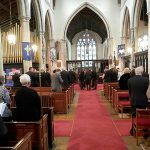 Reverend Jason Taylor read Psalm 23, the Lord is my Shepherd, before we all rose to sing a favourite with the Royal Navy, Eternal Father, Strong to Save. 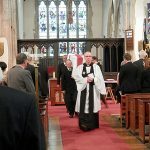 Readings, funeral Address and Prayers then followed before the final hymn, Lord of All Hopefulness. 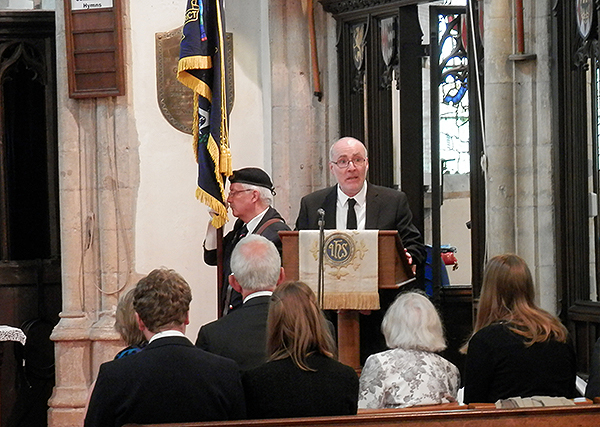 The final part of the Service was the Commendation, Committal and Farewell. 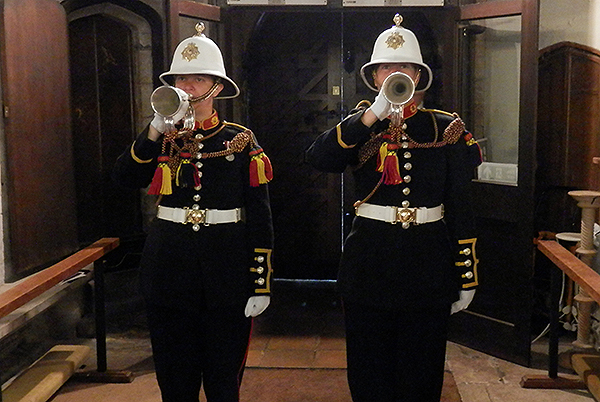 Between the Commendation and Committal, the Royal Marine buglers sounded the Last Post to mark the start of one minute’s silence. 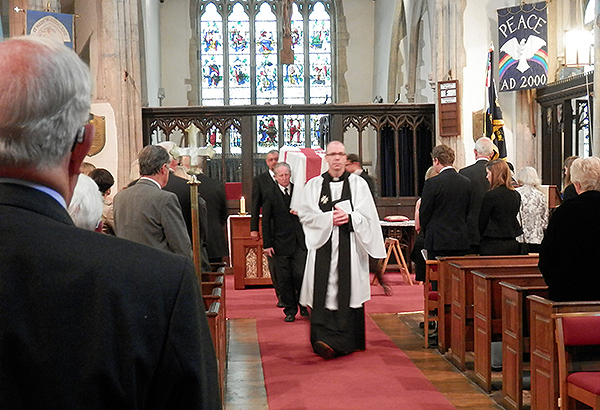 After Reveille was sounded, the service concluded with the Final Blessing. 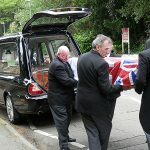 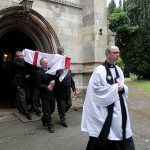 Graham’s coffin was carried out of the church to ‘Life on the Ocean Wave’. 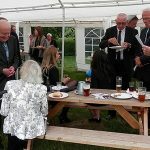 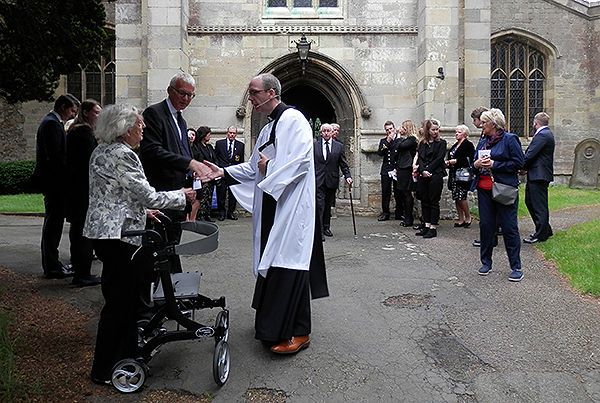 Dawn and Graham’s family waited outside of the church to thank all those who had attended, and invited them to the Black Bull, one of Graham’s favourite pubs, for the wake. 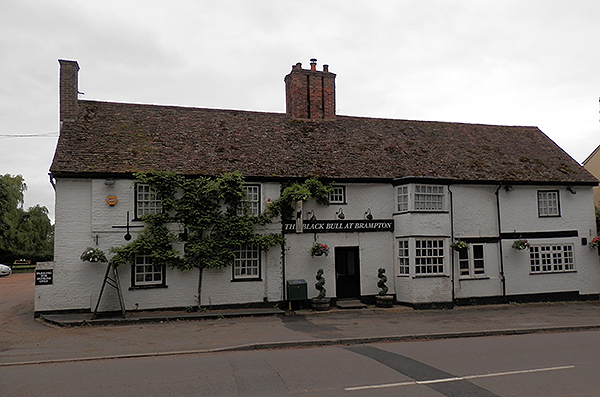 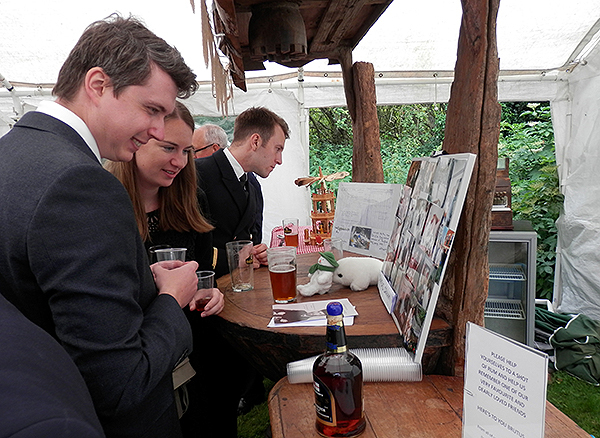 Graham’s grandchildren had placed a photo montage on display for all to see, and the staff at the Black Bull (and Samuel Pepys) provided some Pusser’s Rum for all to toast one of their ‘favourite and dearly loved friends’. 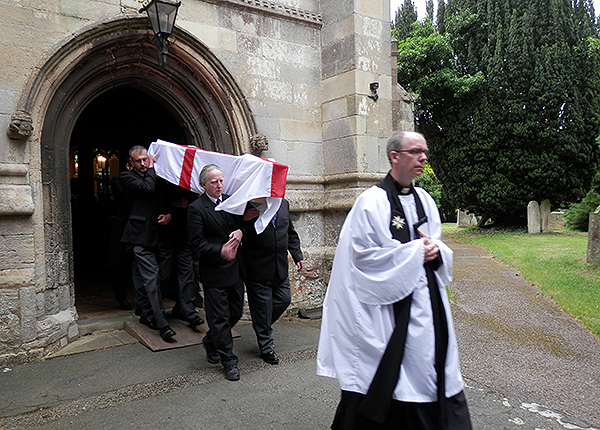 Although a sad occasion, it was a good time to remember Graham and the life he had. 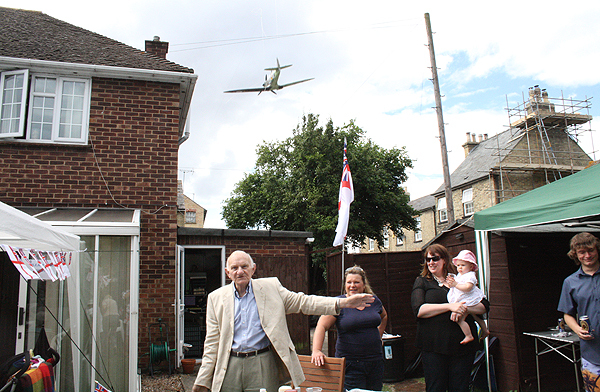 He was proud of his family, his naval career, and his friends. 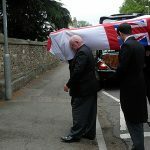 Rest in peace Graham, you will be sorely missed.